Test of Metal Inc. and 2010 women's champion, Catharine Pendrel, have teamed up to help some of Squamish's up-and- coming mountain bikers in their efforts to get to the Mountain Bike National Championships in Canmore, Alberta on July 17-18. Pendrel, a three-time Test of Metal winner, got things started when she donated $150 of her race winnings to organizers. Test of Metal president Cliff Miller jumped on the idea after Pendrel came forward. The Test of Metal is topping up the funds Pendrel donated so that Squamish riders attending the Nationals will receive $150 each to offset some expenses. Five Squamish youth will be attending the Nationals this year including Mo Lawrence, Quinn Moberg, Lauren Rosser, Kristen Drygas and Miranda Miller. Pendrel claimed that Squamish's reputation is, in fact, built on this kind of generosity and support. “It's this kind of community support that creates so many successful Squamish riders and makes the town an unrivalled riding destination,” she said. Miller also acknowledged the efforts of the community. “Our race only happens because of the more than 300 volunteers who come out and make it so successful. The money for our young racers isn't just from me or from the Test of Metal, it's as much from the volunteers and community supporters who have made the race what it is,” he said. 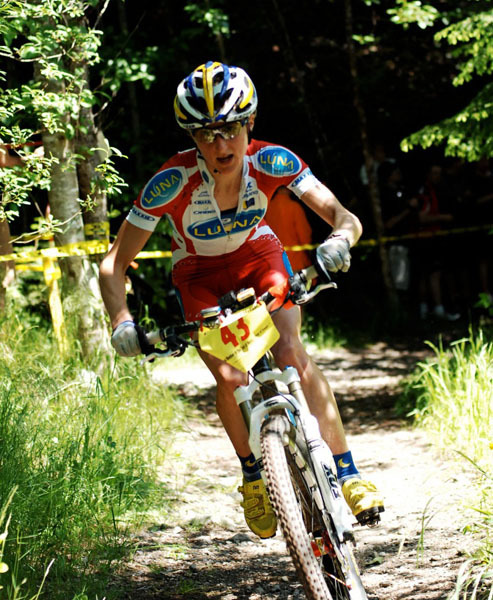 The Test of Metal, a 67 kilometre mountain bike race, is the most successful cross- country mountain bike in Canada and has sold out for the last 14 years. Test of Metal Inc. is a not-for-profit limited company run entirely by volunteers. Since its inception, the Test of Metal has donated more than $100,000 to community organizations and events.